A method that integrates tumour buds, lymphocytic infiltration, and their spatial relationship could better stratify patients with stage 2 colorectal cancer (CRC) at high risk for disease-specific death compared with traditional methods of clinical staging, according to results ‘Automated Analysis of Lymphocytic Infiltration, Tumor Budding, and Their Spatial Relationship Improves Prognostic Accuracy in Colorectal Cancer’, published in Cancer Immunology Research, a journal of the American Association for Cancer Research. "We found that our combinatorial method was superior to the current prognostic staging systems in defining stage 2 colorectal cancer patient prognosis," said Dr Ines Nearchou, a PhD student, at the University of St Andrews School of Medicine in North Haugh, Scotland. "After further validation in larger studies, this index could be translated into routine clinical classification of stage 2 colorectal cancer as well as other solid tumour types, thus providing a more precise prognosis with the ultimate goal of improving patient care." Approximately 20 percent of patients with stage 2 CRC experience recurrence and disease-specific death, noted Nearchou. "It is therefore essential to accurately identify high-risk patients who might potentially benefit from adjuvant therapy," she explained. TNM staging, a clinical staging method that takes into account tumour size, involvement of regional lymph nodes, and distant metastasis, is currently utilized for CRC prognosis and guides therapeutic strategies; although this method is accurate at a population level, it is less so at an individual level, as patients of the same histological tumour stage can have different prognostic outcomes, Nearchou said. Another method, known as Immunoscore, quantifies the density of tumour-infiltrating T cells at the tumour core and its invasive margin. This score has been shown to predict survival and risk of recurrence more accurately than TNM staging in CRC patients, she added. 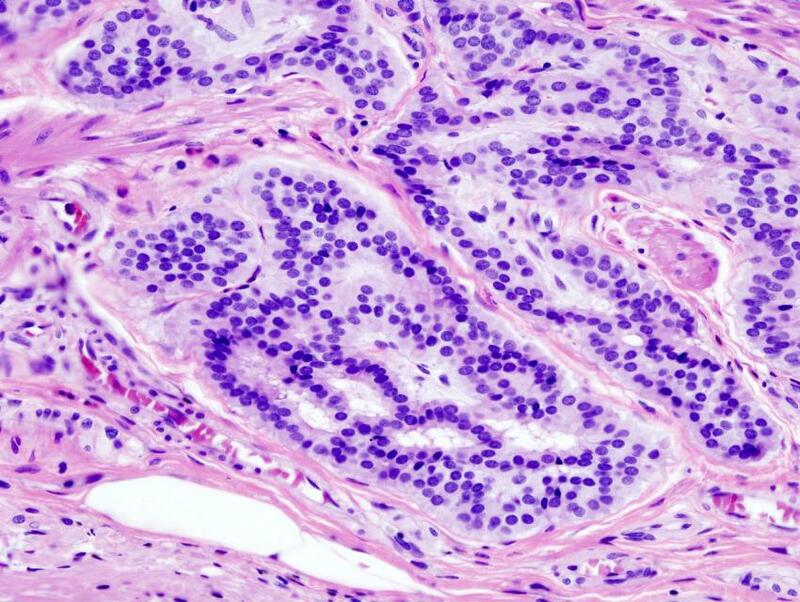 Tumour budding (the presence of small, isolated clusters of cancer cells) may represent a tumour’s potential to invade and metastasize and is associated with poor clinical outcome, Nearchou explained. While both lymphocytic infiltration and tumour budding are prognostic features correlated with CRC patient outcome, these characteristics are often reported independently. "We wanted to determine if the simultaneous analysis of these two features, in addition to the spatial interaction between the infiltrating lymphocytes and the tumour buds, could further stratify CRC patients and provide additional prognostic significance," she said. Nearchou, under the supervision of lead investigator, Dr Peter Caie, utilised data from a training cohort of 114 patients with stage 2 CRC who underwent surgical resection in Edinburgh, Scotland, between 2002 and 2003. The researchers analysed cancer tissues and associated clinical data, such as TNM staging and follow-up information, to develop their prognostic signature. They validated their method in two independent cohorts (56 patients from Edinburgh in cohort 1 and 62 patients from Japan in cohort 2, respectively). The researchers incorporated clinicopathological and image analyses data into a machine-learning model to develop the Tumor Bud-Immuno Spatial Index (TBISI). The final model integrates the degree of lymphocytic infiltration, the number of tumour buds, and their spatial relationship to each other to stratify patients into low- and high-risk categories of disease-specific death. No clinicopathological features were selected for the final model by the machine-learning workflow, noted Nearchou. To compare the prognostic significance of TBISI with standard methods, patients from the training cohort were stratified into risk categories using TNM staging (tumour stage 3 or 4) and the study's version of Immunoscore (high and low score, where a higher score is associated with a higher survival probability). Utilisation of TBISI was more than four times and more than twice as effective in stratifying patients into high- and low-risk groups compared to TNM staging and Immunoscore, respectively. Next, the researchers validated the prognostic significance of TBISI in the two validation cohorts. Utilization of TBISI was more than twice and more than seven times as effective in stratifying patients into high- and low-risk groups compared to TNM staging in cohort 1 and cohort 2, respectively. Utilization of TBISI was more than twice and more than four times as effective in stratifying patients into high- and low-risk groups compared to Immunoscore in cohort 1 and cohort 2, respectively. "TNM staging was not prognostically significant in our second validation cohort, reflecting the heterogeneous nature of stage 2 colorectal cancer and highlighting the need for more precise prognostic scoring systems to be translated into the clinic," noted Nearchou. A limitation of this study is its small sample size, therefore the results need to be validated in larger cohorts, Nearchou acknowledged.